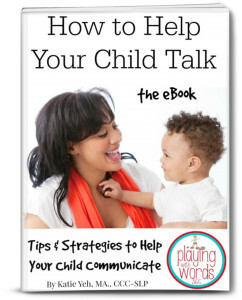 Are you a parent, caregiver, or teacher looking for ways to help a young child talk? 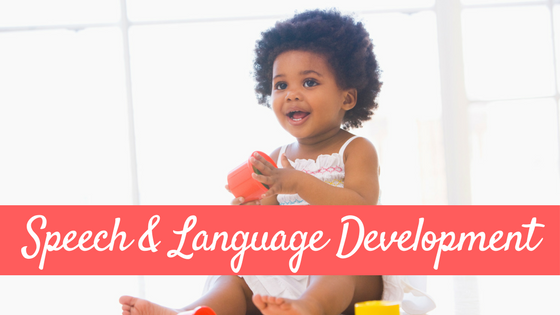 Are you a speech pathologist looking for resources to share with your clients on early speech and language development? 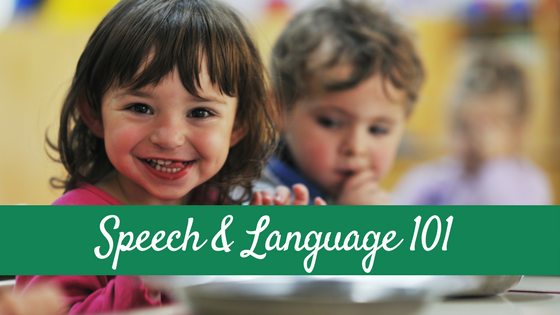 Would you like to learn more about how to help young children communicate ? If so, you’ve arrived at the right place. Whether it’s your first child or your fourth, one of most exciting milestones for parents is hearing your child’s first word. And their second. And their third. 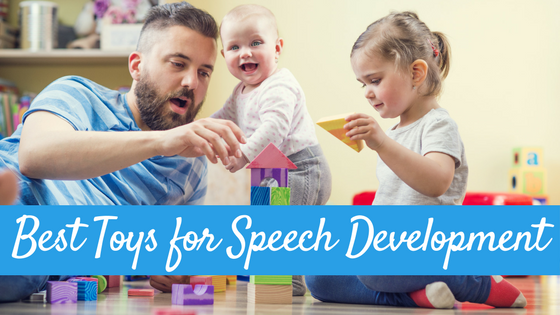 Watching your child slowly learn how to communicate is an amazing experience. But what happens when your child is not talking as much as he should be for his age? What can YOU do to help? 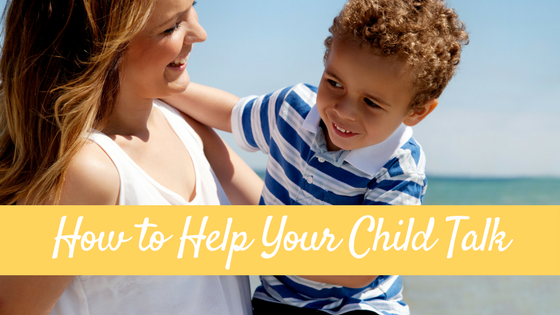 How to Help Your Child Talk: The eBook is a collection of some of my most popular posts from this blog. This collection is intended to provide you with of evidenced based information and tools to help YOU help the young child(ren) in your life communicate. 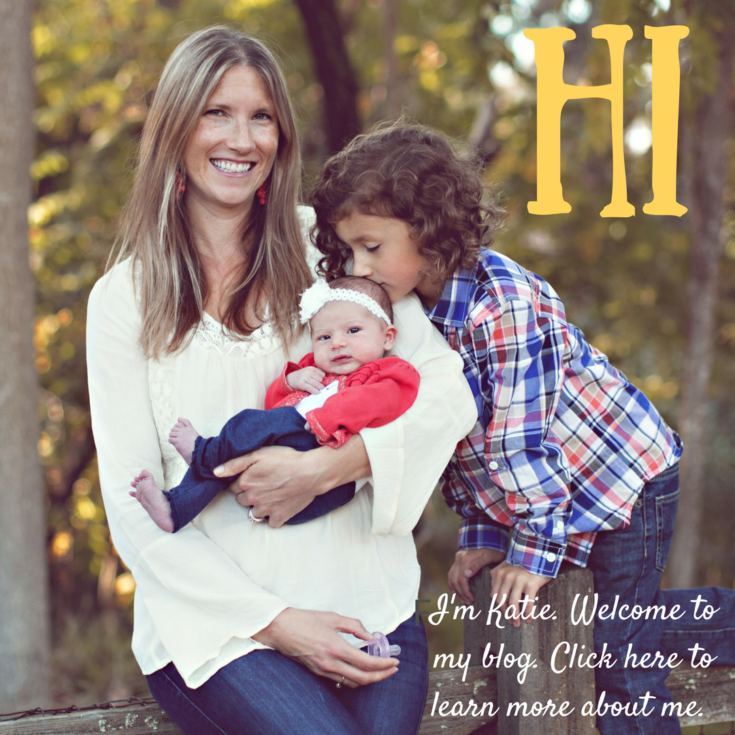 With over 50 full pages of information in an easy to print “handout” format, my hope is to educate, inspire and empower you to slow down, connect, and respond meaningfully in order to expand speech & language in the little ones in your life. This eBook was specifically designed to be printer-friendly. Rather than divided into chapters, this eBook is divided into short, printable sections in a “handout” format. These ‘handouts” can be easily printed out and distributed to the clients of SLP’s, early interventionists, or others who work with small children. Yes, you can distribute the printed sections to the families of your clients! On the other hand, this eBook can also be read entirely on a computer as well. 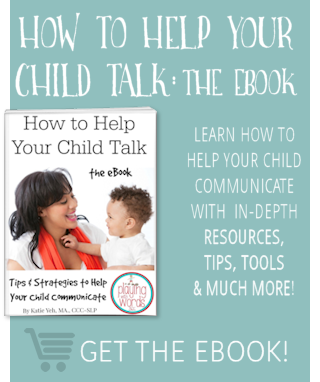 You can get your copy of How to Help Your Child Talk: the eBook via eJunkie right here! You can pay via Pay Pal, Credit or Debit through eJunkie. It is completely secure! All you have to do is hit the Add to Cart button under the image of the cover and follow the payment instructions in the window that opens. You will get an email with information on how to download your products after your payment processes. You have FIVE opportunities to download.